A play for women's rights at the Flight Deck. One in three women will have an abortion in her lifetime. That statistic is at the core of the message that the 1 in 3 Campaign, a group that fights for a women’s rights to abortion. But those leading the grassroots initiative also know that the experiences women have with abortion are far more complex that a data sound bite. 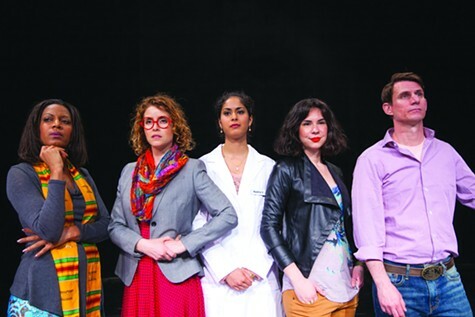 Through a traveling play, the national campaign is disseminating many of those stories in an attempt to break the silence and stigma of shame surrounding the topic. Called Remarkably Normal, the production is a “documentary play” that dramatizes actual interviews with and stories submitted by people who have received abortions and who provide abortion care. The play’s cast is currently traveling the country in order to raise awareness as the Supreme Court prepares to make a major ruling on the legality of abortion, and will be performing at the Flight Deck (1540 Broadway, Oakland) this Friday and Saturday at 7 p.m.